Cachaça is Brazil’s national spirit, and more importantly, you can’t make a delicious caipirinha, a great summer cocktail, without it. In the spirit of the Rio Olympic Games this summer, leading high-end producer Novo Fogo has released four new Single-Barrel expressions. Novo Fogo is an award-winning small-batch Brazilian cachaça produced at a zero-waste distillery outside the Atlantic Rainforest in the southern state of Paraná. The distillery uses its own estate-grown organic sugarcane, the main ingredient in cachaça. Each new bottling is the result of the distillers coming across a very special oak barrel, which is sanded and re-toasted, but maintains its distinct character. Each barrel holds just 53 gallons and after evaporation – what whisky makers in Scotland’s call “the angel’s share” – these special releases are very limited: just 204-372 bottles of each. These four latest Novo Fogo expressions bear age statements from 1-5 years. Like rum, cachaça typically comes in both white (usually called silver) and colored versions, the latter thanks to barrel again, at which Novo Fogo excels. The spirits have a lot of similarities, and while cachaça is most famously used to make the caipirinha with muddled lime and sugar, it works in myriad tropical drinks. The main difference is that while most rums (almost all less expensive ones) are made from cheaper processed molasses, cachaça (and many of the best rums) is made from the juice of fresh sugarcane. 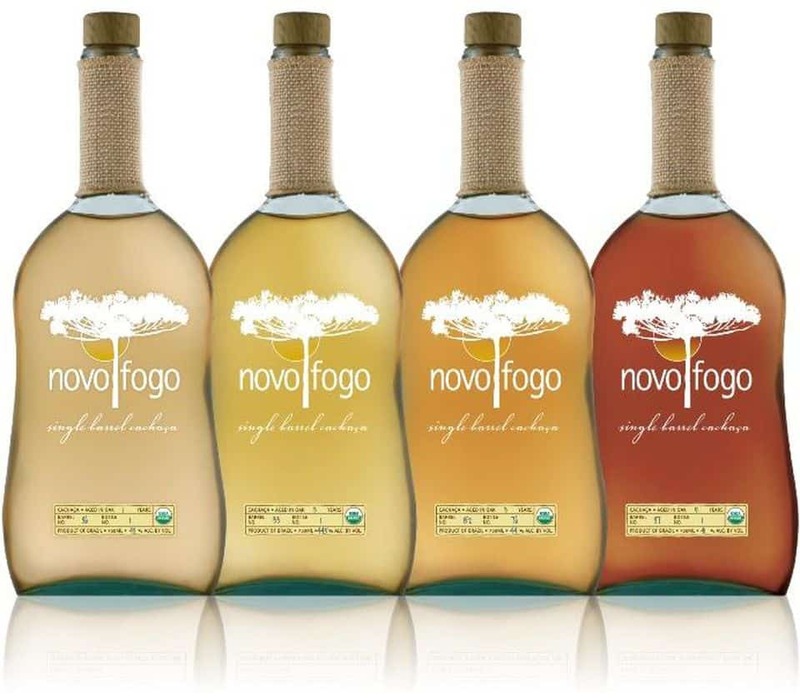 If you have trouble finding one of the limited editions, you won’t go wrong with one of the regular Novo Fogo cachaça, which is certified USDA organic. The cachaças reflect the distilleries rainforest terroir with flavors of banana, lime blossom, coffee and sea salt. In addition to the four special releases, which will be found only at top spirit and wine retailers ($50-$100), the regular lineup includes four versions, from the basic but still ultra-premium Novo Fogo Silver ($30) to the regular barrel aged version ($35).